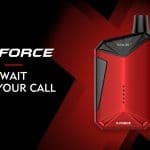 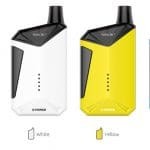 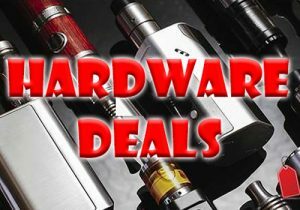 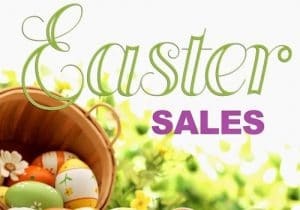 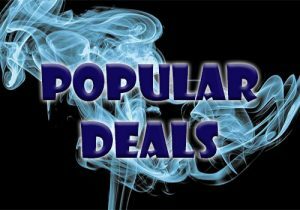 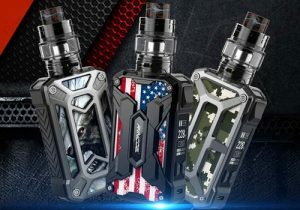 Here are cheap deals for the Smok X-Force Kit. 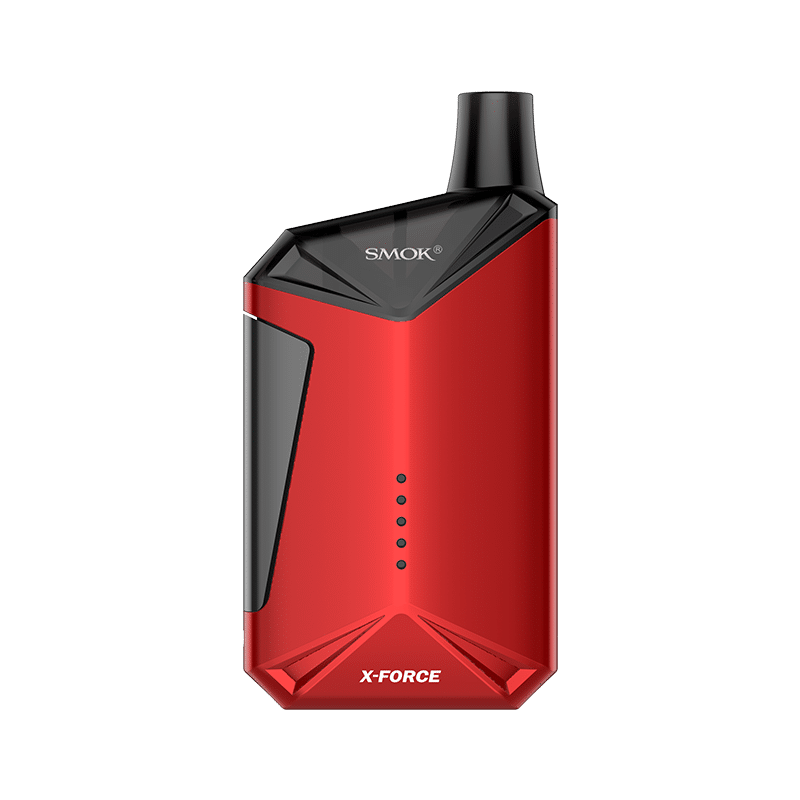 The X-Force is the first pod vape system by Smoktech. 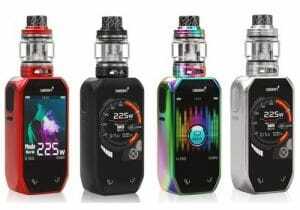 This all-in-one setup features a mod like appearance, lightweight design, a minamalist apperance, a 2000mAh battery, a 5 LED battery indicator, 0.3ohm coils and a refillable 7ml tank. 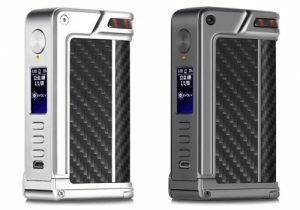 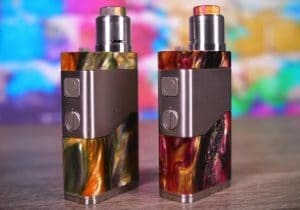 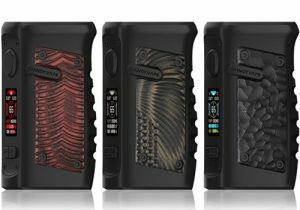 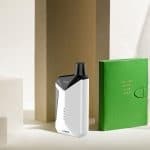 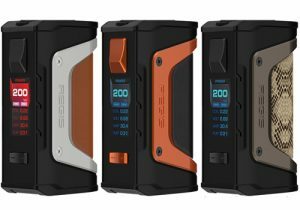 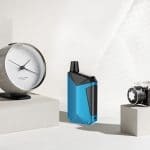 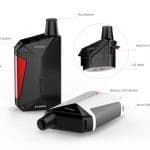 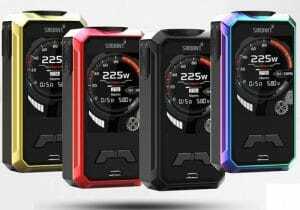 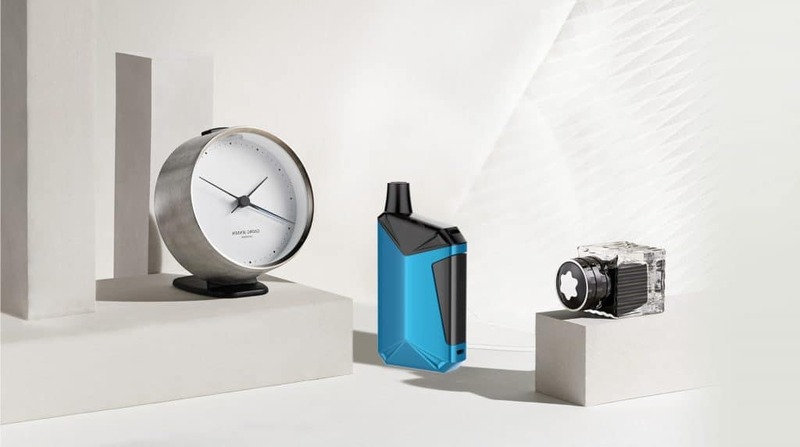 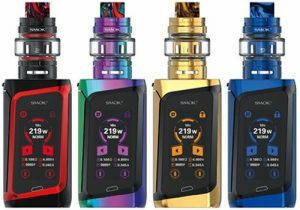 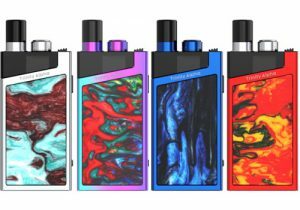 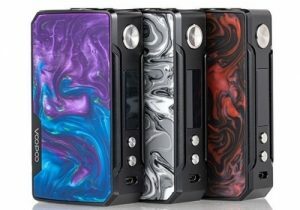 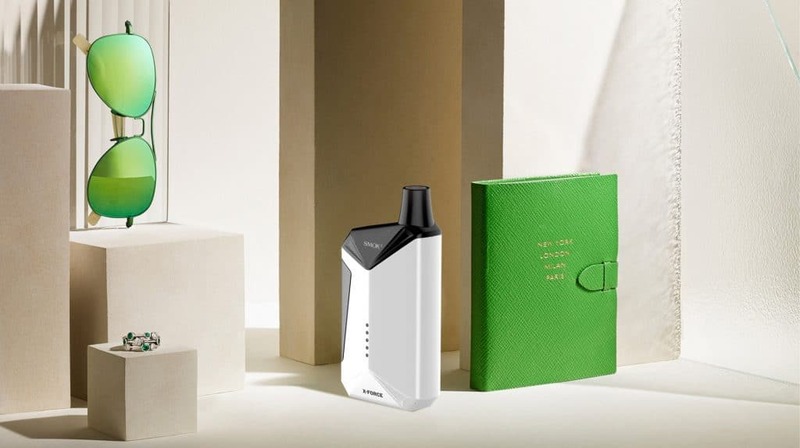 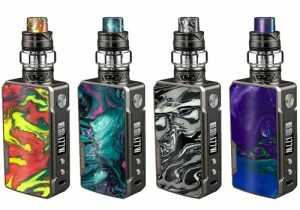 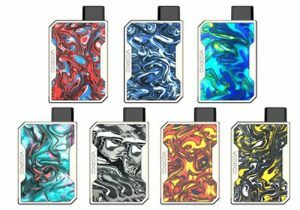 Design-wise, this small setup looks an awful like a box mod, yet it is a complete vape system that is available in black, red, white, yellow, blue and purple. 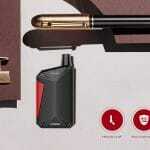 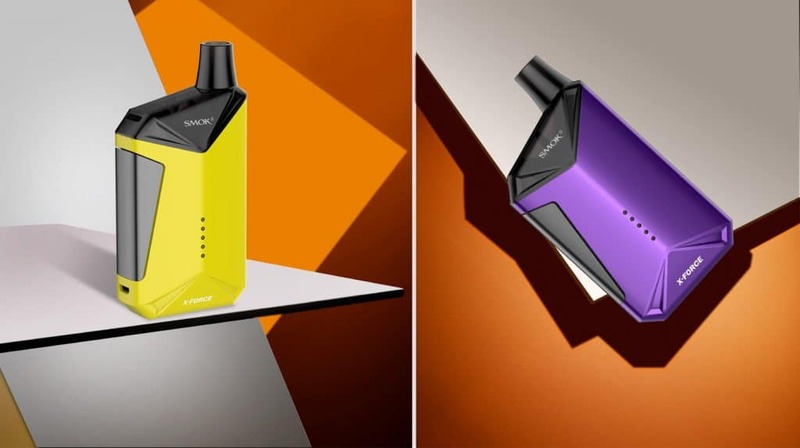 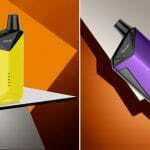 The appearance is minimalist and the color schemes are bright for a more enjoyable vape experience. 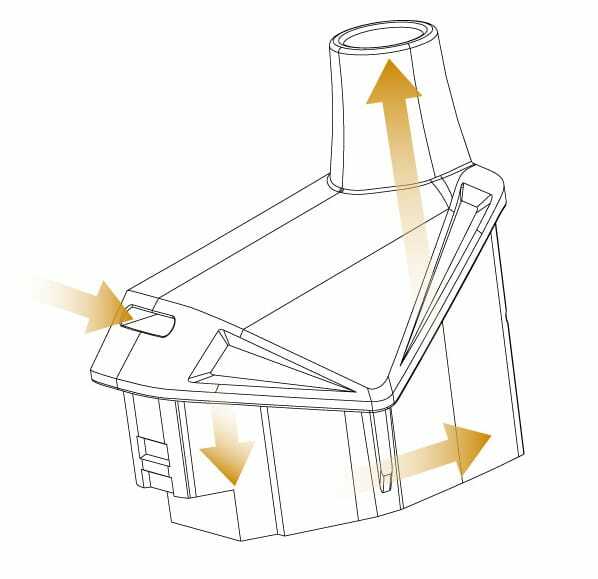 The tank/pod at the top is slanted which enhances its visual effect, while avoiding leakage problems. 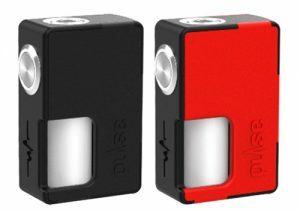 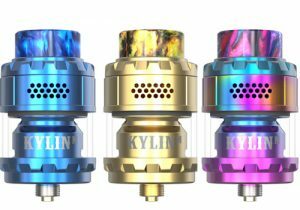 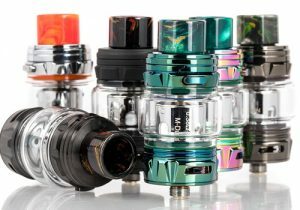 The mod measures 52mm x 30.4mm x 102.5mm and weighs just 99.8g, while the tank has measurements of 30.3mm x 52mm and weighs 30 grams. 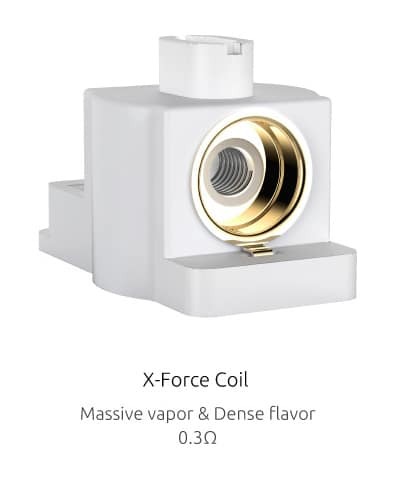 The X-Force consists of two parts. 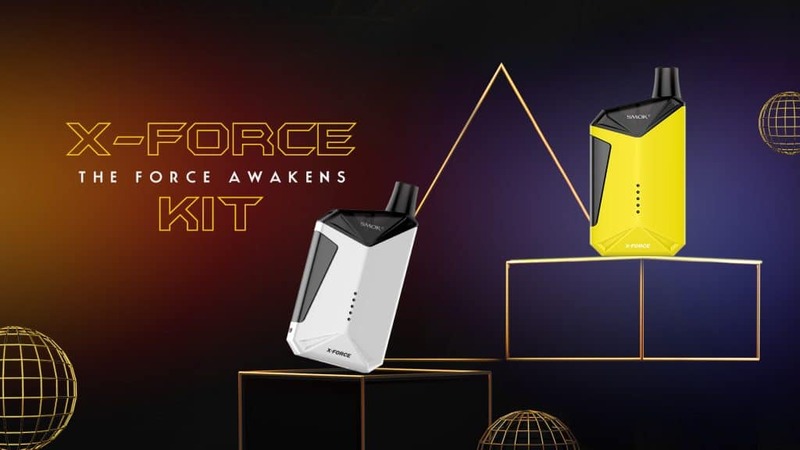 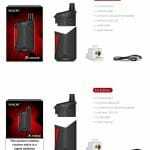 At the bottom of this setup, you will find the X-Force Mod that fires with an output up to 45 watts or 4.2 volts, depending on the voltage level of the 2000mAh integrated battery. 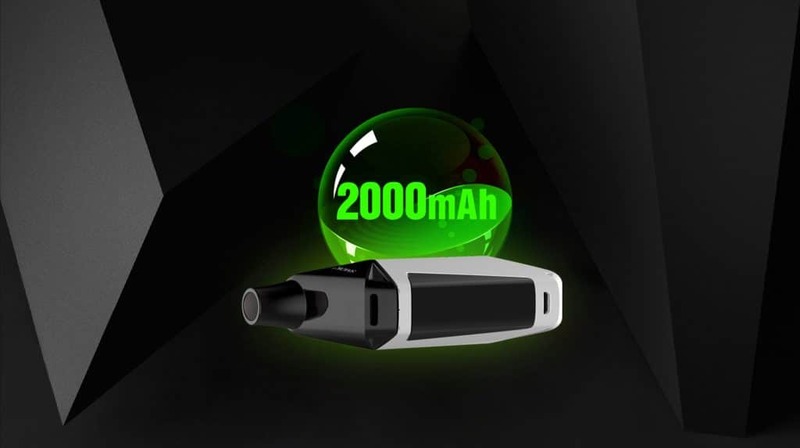 On the large front side of the mod, you will find a battery life LED indicator which consists of five lights that extinguish as power levels drop. 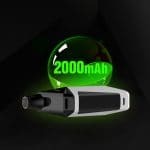 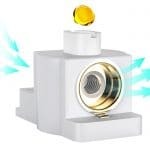 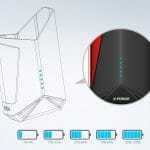 With five lights on, the cell’s charge level is above 90 percent, four light means its above 70, three lights indicates a 30 to 69 percent battery life, two lights 10 to 29 percent while one light means it’s time for a recharge. 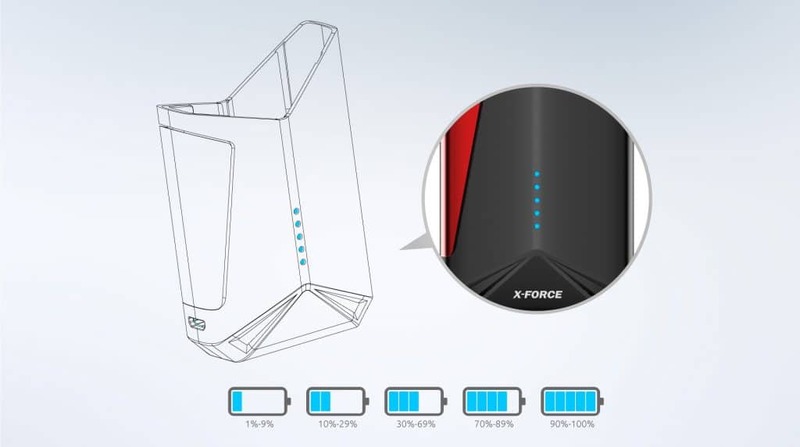 Recharging the battery occurs via the micro USB port which is located directly underneath the large fire mechanism on the side. 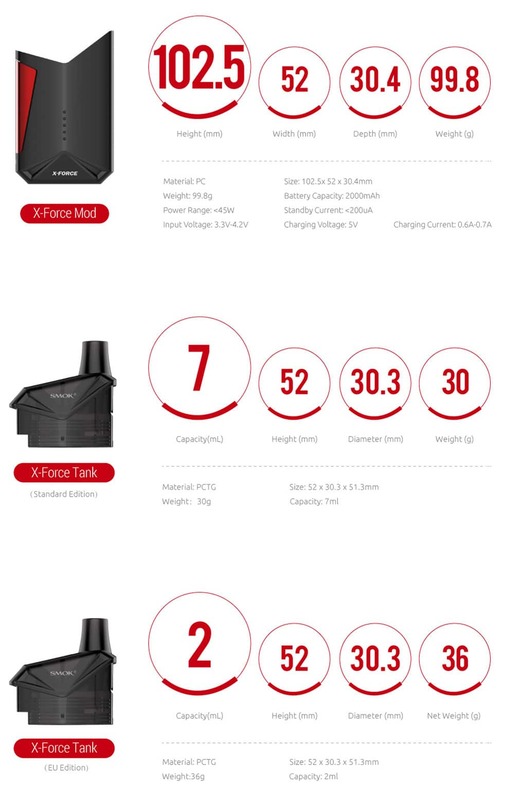 The ensure safety, the X-Force Mod is built with 8 second overpuff protection, short circuit protection and low voltage protection. 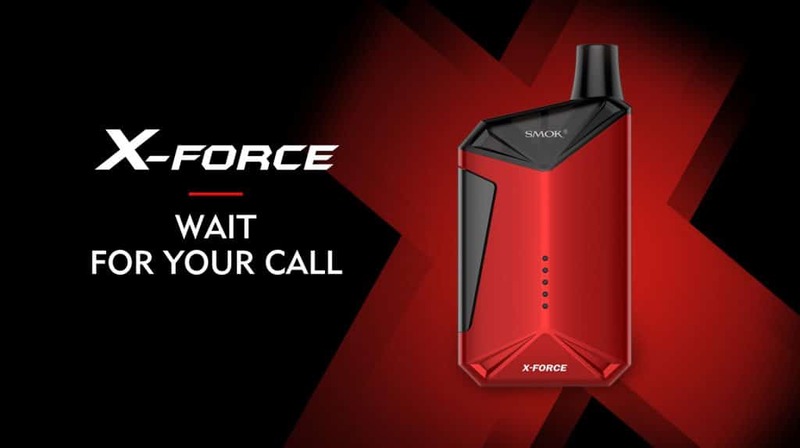 Inserted into the Smok X-Force Mod is the X-Force Tank which may also be considered a replaceable pod. 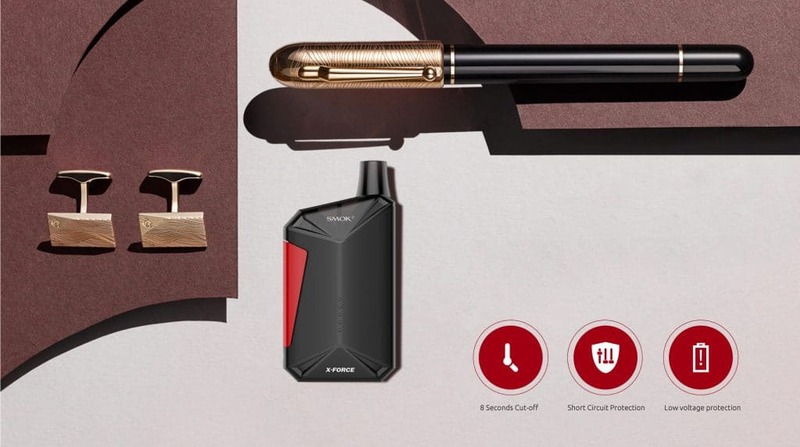 This cartridge is built with the mouthpiece and also stores up to 7ml of juice. 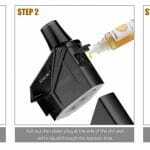 Adding e-liquid couldn’t be easier thanks to a side juice injection hole that is hidden behind an effortless rubber plug that is said to be leak proof. 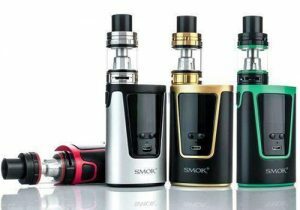 Upon filling, you should always wait two or three minutes to ensure the organic cotton inside the coils becomes saturated. 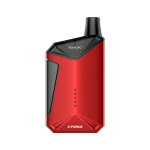 The X-force Kit utilizes brand new transverse coils that were engineered to produce maximum vapor and flavor from this low wattage vape system. 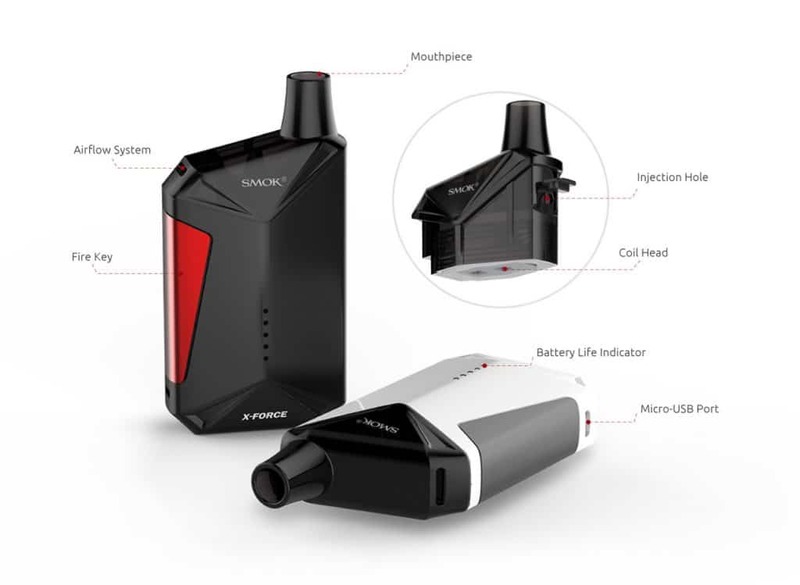 The unit’s vertical airflow intake system near the mouthpiece works in perfect combination with the transverse coils as they are perfectly synced which not only means excellent performance, but also avoids dry puffs. 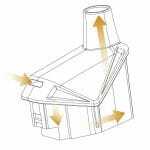 Additionally, the airflow utilizes a serpentine shape which lengthens the travel of the air to produce denser vapor. 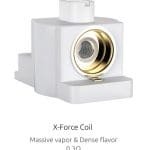 The X-force coil is made with ceramic insulation which allows for fast heating to quickly produce vapor clouds. 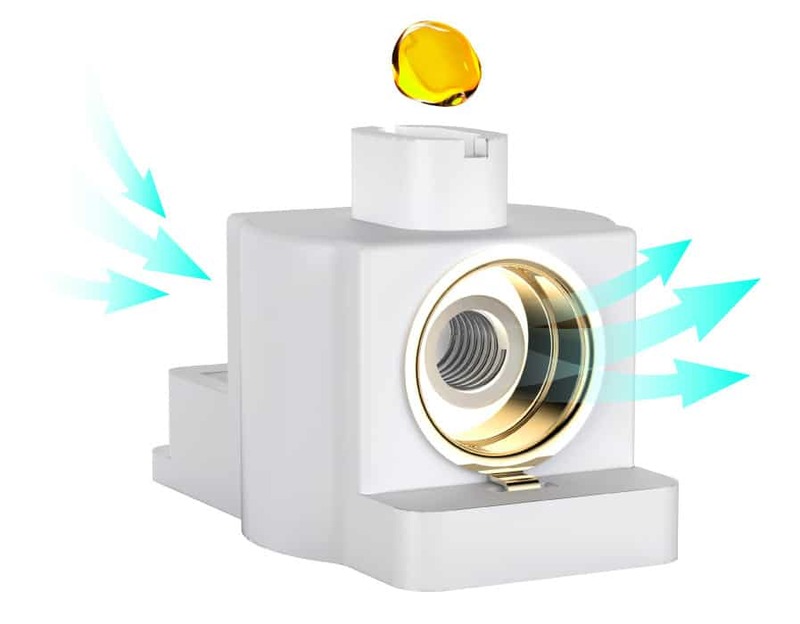 And, these heads are made with gold-plated brass contacts to quickly transfer energy from the battery to the heating elements. 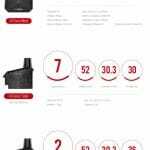 This results in coil longevity and a fast response time upon firing. 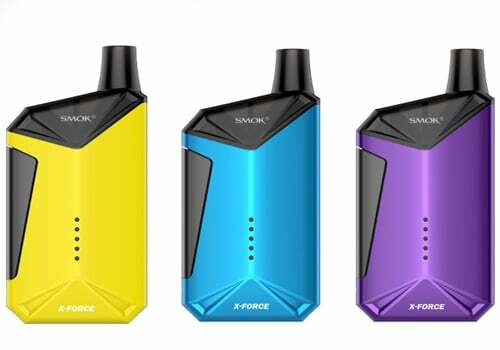 With purchase of the Smok X-Force Kit, you will receive two 0.3ohm heads that produce massive vapor and flavor. 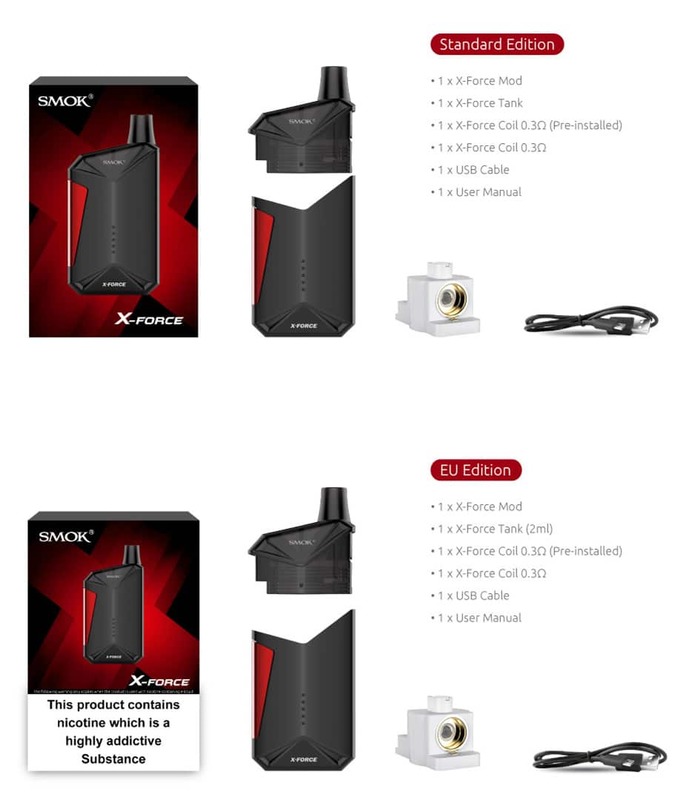 Also in the package are a USB cable and a user manual.